Dr. Richard Hamelin is a Professor in the department of Forest Sciences and a senior scientist at Natural Resources Canada. His main research interest is in forest health genomics to advance knowledge of forest diseases. He is a Project Leader of one of our partner projects, TAIGA. Richard is a self-confessed late bloomer. He knew that he wanted to be a scientist at the age of 40 because he realized that it’s fun! He is fortunate in that his passion for science takes him many places, including the mountains of Szechuan China, where he was looking for – what else? – tree diseases! 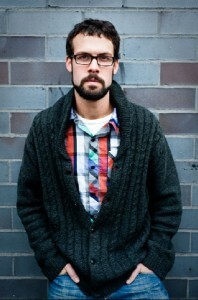 In his spare time, Richard enjoys hiking, biking and mushroom picking. If you seen him in the woods, you may not recognize him at first because his nose is always stuck in rotting trees looking for fungi. Dr. Wayne Maddison, grew up in Ontario and Alberta, and discovered early the beauty of spiders and ideas. After 23 years in the US, he landed happily in beautiful Vancouver. Wayne is professor and Canada Research Chair at the departments of zoology and botany at UBC, and the Scientific Director at the wonderful Beaty Biodiversity Museum here at UBC. To find out more about Wayne’s passion – follow him on twitter at @WayneMaddison. He has a fantastic collection of spider photos! 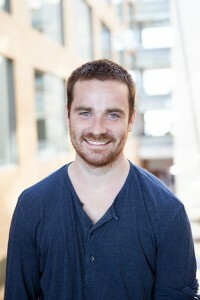 Cameron is a BSc student in Microbiology and Immunology and a member of The Hallam Lab at UBC. Cam is passionate about synthetic biology – a field that aims to engineer living systems for useful purposes. He is “currently engineering tunable single cell biosensors for interrogating functional metagenomic libraries.” For this reason, Cam and his team wowed us during last spring’s Lean Launch Pad for Genomics program, because none of the entrepreneurship team could understand what he was doing for at least half of the program! He recently founded MetaMixis, a company that works to solve problems in health and environmental sciences by collaborating with synthetic biologists and microbial ecologists. In his spare time, Cameron enjoys snowboarding and coordinates the UBC iGEM (international genetically engineered machine) team, which competes internationally in synthetic biology competitions. Julia is a second-year Masters student in the Faculty of Forestry and a TerreWEB scholar with Dr. Suzanne Simard. Her natural science work currently focuses on plant communication via mycorrhizal networks, but her primary scientific interest rests in systems of all kinds. 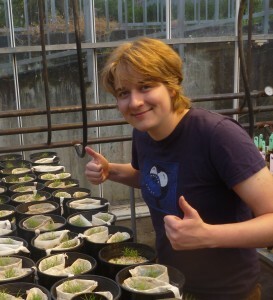 Her project also includes developing an educational computer game about mycorrhizal networks. She is passionate about communication and, in addition to her research, has been an active coordinator of TerreWEB’s fantastic fall seminar series. In her spare time, Julia particularly like climbing trees, eating good food, making music with friends, listening to trees, and having awesome conversations. Dr. Chris Keeling, is truly an integrative thinker. He uses the tools of biology, molecular biology, genomics, biochemistry and chemistry to learn more about the interactions between organisms, especially economically important beneficial insects, such as honey bees, and pest insects, such as the mountain pine beetle. 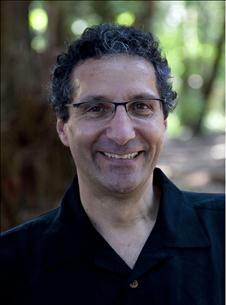 His journey within academia has taken him from the University of Calgary to SFU to the University of Nevada. Currently, Chris is a research associate working right here at Michael Smith Laboratories with Dr. Jörg Bohlmann, and as co-investigator on large-scale Genome-BC funded projects on the mountain pine beetle. When not in the lab sequencing pine beetle genomes, Chris enjoys photography and hiking, sailing, bicycle touring… anything that takes him outside. Chris credits his love of nature to family camping trips to Alberta’s national parks, where as a kid he enjoyed discovering nature through the park’s interpretative programs. Dr. Suzanne Simard is a Professor of Forest Ecology in the Department of Forest and Conservation Sciences at UBC. 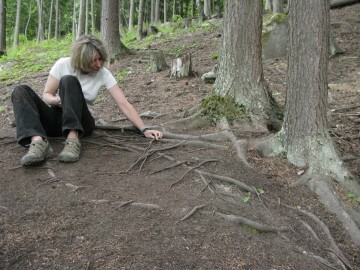 Suzanne has done a lot of fascinating research on how trees and plants are connected belowground by mycorrhizal (literally ‘root-fungus’) networks that serve as subterranean highways for shuttling carbon, nutrients, water and chemical signals to other trees and plants. Suzanne’s work is focused on fungal networks, but ultimately stems from her passion for the resilience and power of networks in general. One of these networks is the web of talented and keen TerreWEB scholars. Our final presenter this evening, Ben Paylor, is a 4th year PhD candidate in the Faculty of Medicine at UBC focusing on cardiac stem cell biology. A passionate science communicator, Ben has written and directed several award-winning short films, is the director of the scientific animation studio InfoShots, and currently blogs at the Stem Cell Network’s “Signals” blog. Most importantly for us, Ben is a generous contributor to our Knowledge Network, lending his wide-ranging expertise to the GREAT program. When asked when he knew he wanted to be a scientist, Ben said he was a huge nerd and gamer growing up, and became fascinated by game theory. Combined with his love of nature and animals, science was the obvious way to satisfy his curiosity. Like our other presenters here this evening, Ben is well-travelled. The most unusual place his passion for science has taken him is to a voodoo shrine in Benin!